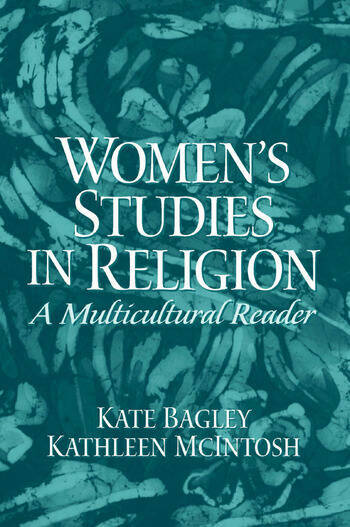 Women's Studies in Religion: A Multicultural Reader uses essays written by today's most respected feminist voices to examine the impact of contemporary feminism on the practice and study of religion. Many in the field have expressed the need for a reader that is both accessible to undergraduates who have little background in the study of religion and that shows the transforming impact of feminism on the religious lives of American womean. This book meets that need. Kate Bagley is a M.S.W., Ph.D. and J.D. who is the chair of the Department of Sociology and Social Work at Westfield State College, Massachusetts and Kathleen Mcintosh is a Professor of Womens Studies also at Westfield State College.